Backed by five years of research, David Marcum and Steven Smith's egonomicsinforms readers that the key to great leadership is understanding exactly what ego is - and what it should not be. 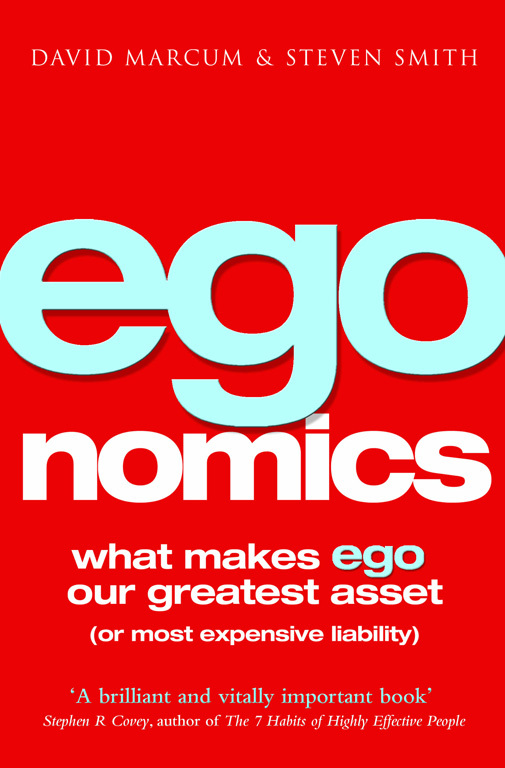 With the aid of real-life examples and persuasive writing, egonomics argues that while most people believe ego is negative, it is actually a healthy, necessary element to management effectiveness and business leadership. Marcum and Smith illustrate that the distinction between a good and a great leader is how humility affects their ambition, and egonomics is full of ideas that help both upper and middle management keep their egos in balance. With a compelling combination of business and psychology expertise, these two specialists explain how (a) being too competitive can make you less competitive, (b) seeking respect and recognition dilutes effectiveness and (c) humility, curiosity and veracity are the essential components to outstanding leadership. Full of the best advice from the experts in the field, egonomics is poised to be the blockbuster business bestseller of the season. David Marcum is a consultant, writer and speaker whose business ideas have been endorsed by Microsoft, Accenture and the U.S. Air Force, amongst others. Steven Smith holds degrees in management and psychology and is an expert on collaboration and leadership. He has served as top consultant for various Fortune 500 companies such as State Farm, Hilton, Disney and Baldridge Award Winner Baptist Health Care.